Midnight Sun - Available as a download or stream? 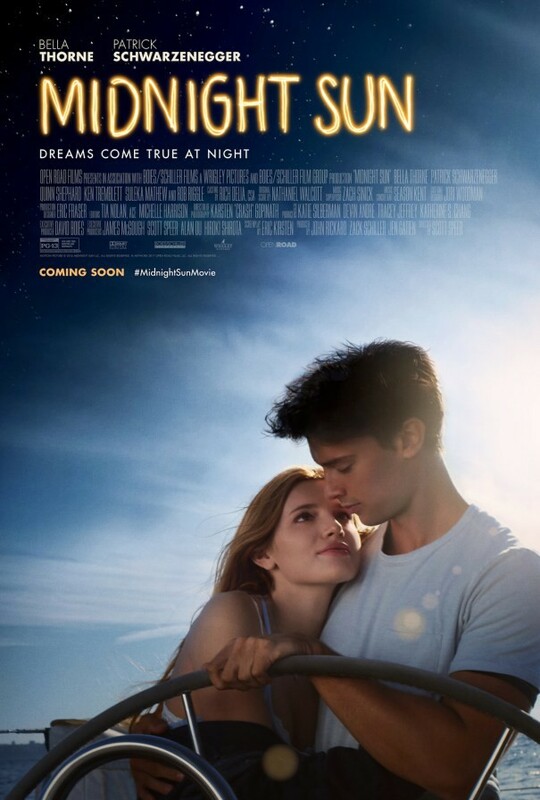 Scott Speer’s second feature film, “Midnight Sun”, is an English remake of the 2006 Japanese film “Taiyō no Uta”. Bella Thorne stars as a teenage girl suffering from xeroderma pigmentosum (say that five times fast), her inability to heal from sunburn led her to live a sheltered childhood. Katie Price, aged seventeen, who begins leaving her home after sundown to play her guitar at the local train station. Still finding herself stuck at home during sunlight, chaperoned by her father (Rob Riggle), while under the moonlight Katie starts to finally live the life she always dreamed. She soon becomes infatuated with an older boy named Charlie, portrayed by Patrick Schwarzenegger, the two quickly begin to date one another despite Katie’s eventual decision to hide the truth from him.